Crossing the China-Nepal border via Tibet and the Himalayas is as formidable as it has been for centuries. 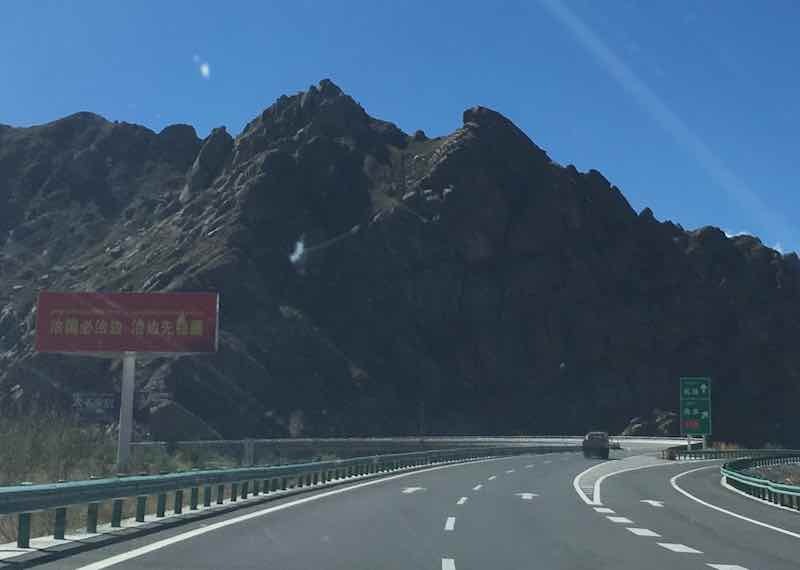 To drive from Tibet’s capital city Lhasa to the Gyirong checkpoint bordering Nepal’s Rasuwa takes at least 15 hours – if weather condition allows. That is why, during my meeting with Nepal’s consul-general to Lhasa last year, shortly before undertaking the arduous journey to the border, he sounded more than eager to secure China’s agreement to extend the railway system within Tibet to the Nepalese border. At the beginning of this summer, China said yes. To South Asia experts in China, this railway means more than the hundreds of projects under the umbrella term, “One Belt, One Road”. For decades, Nepal, the landlocked Himalayan country, sandwiched between Asia’s two most populous nations, had been on New Delhi’s side in the India-China contest for regional influence, due to cultural and historical proximity. The turning point for China came in around 2015 and 2016, when Nepal elected the Communist Party to form a government. This prompted the dismay from Narendra Modi’s administration, which viewed the new Nepalese prime minister, Khadga Prasad Sharma Oli, as discriminatory against people of the southern plains of Nepal adjoining India who are of Indian ancestry. Oli was ousted within half a year – which he firmly believed was engineered by the Indian government – only to be re-elected in February this year, at which point Nepal formally replaced its traditional India-dependent foreign policy with a parallel focus on both the southern and the northern neighbours. China is only too happy to see the comrade back in power in Kathmandu. There was a sense China speed up negotiations on the railway project, and it took only four months for the new Oli administration to finalise a deal, which was announced during a joint press conference with Oli and China’s Premier Li Keqiang during a visit to Beijing in June. The new link will be extended from the Tibetan city of Shigatse – currently the westernmost stop of Tibet’s, and China’s, railway system – all the way to Kathmandu. For China, the project is not without political risks. For decades, Tibet has been a sore point for China. As recent as 2008, Chinese troops poured onto the streets of the Tibetan regional capital of Lhasa, leaving 18 civilians dead in the midst of a bloody demonstration fighting for Tibetan independence from China. But since China’s President Xi Jinping started pushing for “One Belt, One Road”, all local governments, especially those on the border, have started looking for opportunities. According to the Chinese premier, the railway link is just one aspect of Chinese strengthening ties with its new partner Nepal. 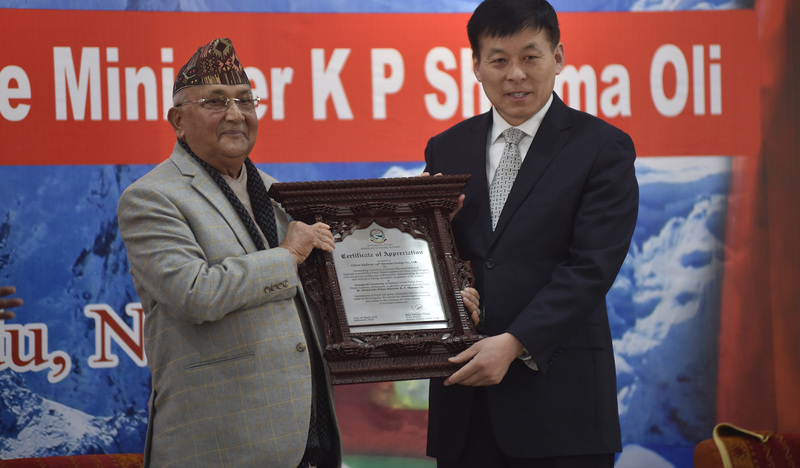 China, he said, would also like to work with Nepal to build a “cross-Himalayan connectivity network” through aviation, trading ports, highways and telecommunication. Tibet, naturally, is placed at the forefront of the “cross-Himalayan connectivity network”. For Beijing, giving Tibet a role in the mega national project could be a win-win situation, in the sense that Beijing benefits from stronger ties with Nepal (which has traditionally viewed Tibet with more good feelings than mainland China controlled by the Han Chinese.) For Tibet, some see reward for not having stirred up trouble for a decade. Above all else, China’s railway plan for Nepal sparks India’s geopolitical scepticism. New Delhi is already participating in US President Donald Trump’s Indo-Pacific strategy aimed at containing China, and in August, Modi’s government announced a similar rail project to the one Nepal just secured with China. India will help Nepal construct a rail link between Kathmandu and an Indian border town of Raxaul, for smoother movement of passengers and cargo to Nepal. The bulk of Nepal’s overland foreign trade is routed through Raxaul and accounts for nearly two thirds of the country’s trade. Imports by roadways are often delayed and expensive as cargo is carried in diesel trucks. But perhaps more interestingly, India’s relations with China are also improving, in what some experts see as a rapprochement gathering pace following a testing year in ties between the two giant neighbors. This year, Modi visited China twice – in the space of less than a month. In April, he had what the governments called an “informal meeting” with Xi in the central Chinese city of Wuhan, lasting two days, in which the two leaders stressed “a close personal relationship”. In June, Modi visited Qingdao where the Shanghai Cooperation Organisation summit was held. The series of China visits is seen as Modi’s effort to put an end to the reignited border dispute last year, which locked the two Asian giants in a 73-day military stand-off in Doklam, a remote part of the high-altitude boundary close to Bhutan. But as military confrontation gave way to economic contest, perhaps the real game across the Himalayas is yet to start.